Ah, Oregon! Land of trails and hazelnuts, with glorious nature-scapes and hipsters as far as the eye can see. As both a Midwestern resident and a person who is terrible with anything involving geography, this writer was happy to be tasked with scoping out offbeat Oregon history. Check out the stories below and add your own in the comments! On a delightful May afternoon in 1945, Sunday school teacher Elyse Mitchell and her husband Archie were driving a bus full of pre-teens to a Saturday picnic. When Elyse started feeling sick—she was pregnant at the time—Archie pulled over to let her out. Elyse and the children went out into a field to get some fresh air, and that’s when Archie heard the explosion. Elyse and five children were killed by an exploding Japanese Fu-Go (fire balloon) when they happened upon it in that field. During WWII, the Japanese released around 9,000 Fu-Go with the intention of hitting the US all over. Roughly 300 made their way to the continental states, but were either intercepted, duds, or, in some cases, took out power lines. The Fu-Go that landed in Klamath Falls, Oregon was the only one to succeed in its diabolical mission, making Mrs. Mitchell and her students the only World War II combat casualties in the continental United States. He was also extremely obsessive and had a bit of a reputation of being Captain Crazy-Town. Right before the Civil War began, Luelling gathered up a small group of pilgrims and led them into a nearby Californian forest to start a free love cult. At 55, Luelling decided he needed a new lot in life, and that lot would be called “The Harmonial Brotherhood.” With two of his sons in tow, Luelling and a group of others boarded a ship under the cover of night and headed towards Honduras. Some weeks later, they arrived on the shore of Zihuatanejo, the fourth-largest city in the Mexican state of Guerrero. Unfortunately, during their long and crowded journey many members started feeling the pangs of hunger after they had sworn a life of vegetarianism to the cult. By the time they arrived, most of them were starving and doubting the rules of the Harmonial Brotherhood. Not only that, but Luelling was constantly challenged by former circus leader Dr. T., who felt he deserved to be in charge. After a brief egg-purchasing disagreement, the cult split down the middle, with Dr. T heading one faction and Luelling the other. Luelling, with most of his loyal followers, left again on their boat and moved to Tiger Island in Honduras. Upon arrival, many members fell extremely ill from malaria and yellow fever; several died after realizing their cure-all hydrotherapy (AKA: throwing cold water on sick people) wasn’t working out. The cult disbanded, with Luelling relocating to San Jose. He later died of a heart attack while clearing land for a new orchard. On a chilly fall day in October 1967, students gathered at a lecture hall at The University of Oregon. They eagerly waited for pop artist auteur, Andy Warhol to grace the stage. The topic was to be underground film, but what they got was 100 percent acting. Warhol, deciding he didn’t want to do the lecture, sent an actor from his Factory to pose and answer questions as him. The students sat through the lecture and asked questions to a man whom they thought was Warhol and were none the wiser by the time they left. Four months later they would realize they had been duped. 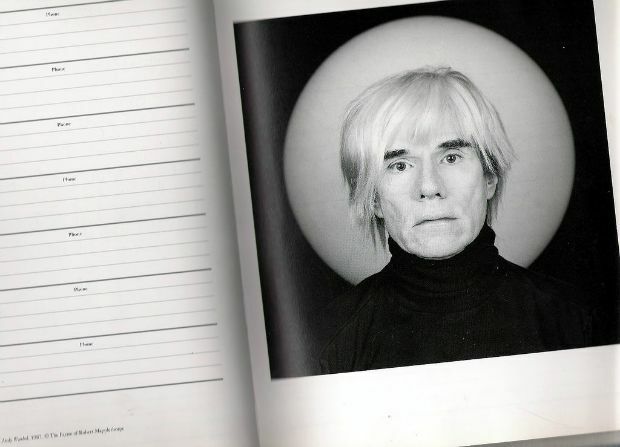 The college contacted the Factory and realized a man named Alan Midgett had pocketed the $2,600 they had paid “Andy Warhol” and went on a trip to Europe. The real Warhol did visit the university in 1968 and showed portions of his 25-hour-long film. We would have rather seen the actor. Born of Metis ethnicity, Dorion was born from an Iowa tribe on her mother’s side and French Canadian on her father’s. While we are all very familiar with the story of Sacagawea, most of us are probably pretty ignorant to the story of Marie Dorion. In fact, it was possible these two women would have known each other. Dorion was the only female survivor of the Astor Expedition to what would eventually become Astoria, Oregon. On the journey, she traveled with her husband and two sons; she gave birth to a third child on the expedition, but the baby died several days later. One day while out at the trading post she got word that her group, including her family, were going to be attacked. After traveling three days, she arrived back to her home to find the travelers and her husband dead, leaving her only with her children. Dorion had to escape in case the attackers came back, so she took off with two horses and her two children and disappeared into the Blue Mountains. After the horses collapsed in exhaustion she guarded her children for 50 days in winter conditions. 50. Days. She finally made it to the Walla Walla village safe and sound with her sons. Oregon is known for being weird—who would have thought the trend started so long ago? What other strange Oregon history do you know of? Jess lives in Ohio with her husband and 3 cats. She is a freelance writer, film critic, and overall horror hound. Her interests aren't solely movie related though and you can check out her work on Phactual, Bloody-Disgusting, Geek Legacy, and more.